A selfie can be more than an exercise in narcissism. Help garment workers’ rights go viral on Friday by posting a picture of yourself with your clothing inside out and asking #WhoMadeMyClothes. A selfie can be more than an exercise in narcissism. 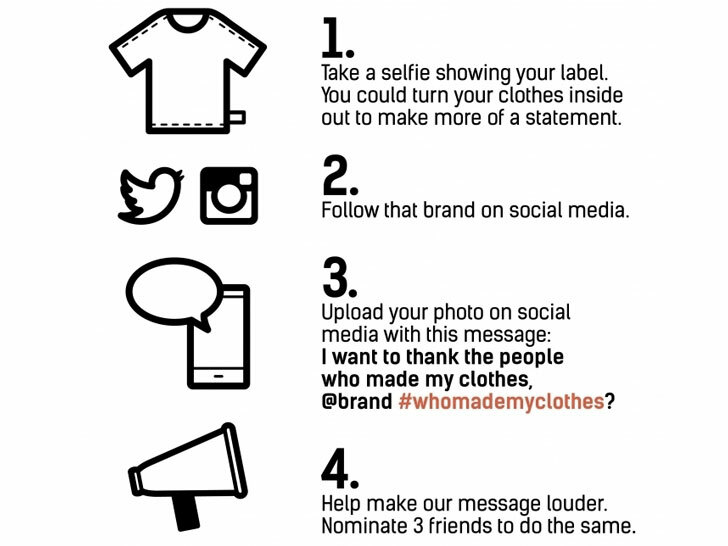 Help garment workers' rights go viral on Friday by posting a picture of yourself with your clothing inside out and asking #WhoMadeMyClothes.